On Saturday, Sunday and Public Holidays, is available a nice tour by electric tourist train along the pedestrian city center. 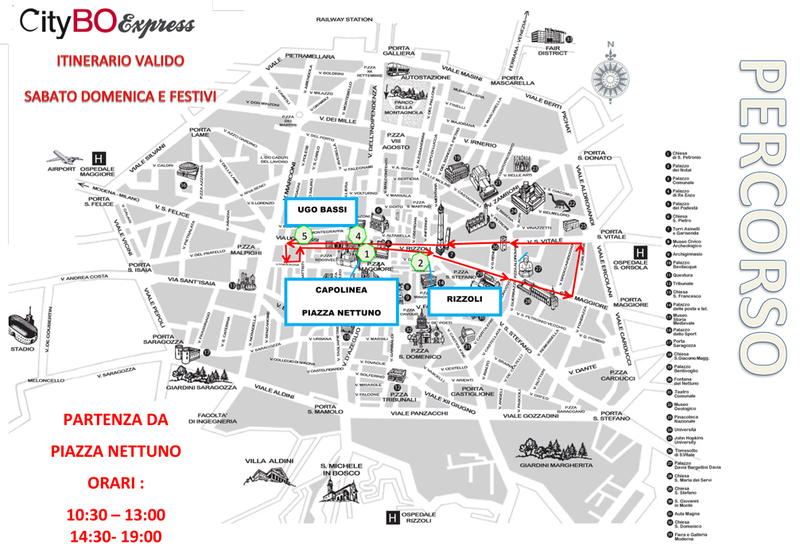 The tour lasts 20-25 minutes and is available about every 40 minutes; point of departure and arrival in Piazza Nettuno. An audio description (only in Italian) about monuments and history of Bologna is provided during the tour; during the winter, the tour is enriched with a Christmas melodies background. free access for disabled people. The ticket gives entitlement to one complete tour.